Two on site parking lots are available for your use. Whether it's hors d'oeuvres on the terrace or dinner in our antique glass greenhouse, your event will be remembered fondly for years to come. We can accommodate a birthday or engagement celebration, an exuberant holiday party. 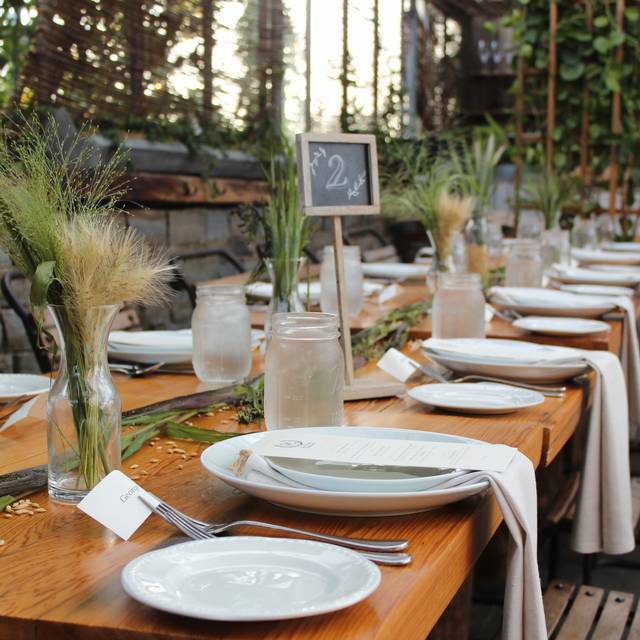 Terrain Cafe celebrates the cycle of the seasons and the bounty of the land. 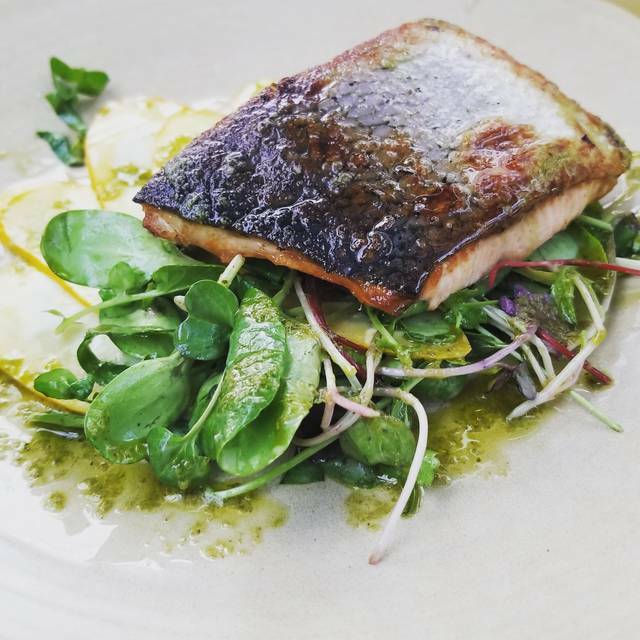 Using hand-selected local produce, meats, seafood, and dairy products, we take pride in creating seasonal menus using hand selected local produce, meats & dairy products at their peak of freshness, from farmers we know and trust. 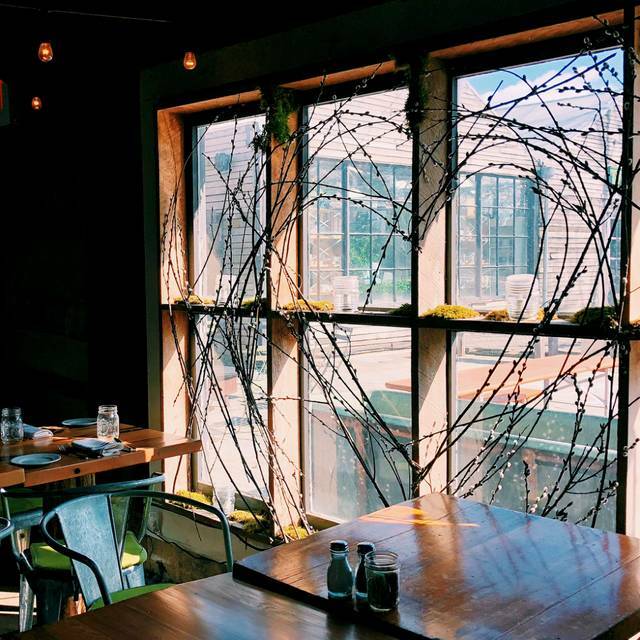 Our bright, open spaces reflect the beauty of nature, complementing a menu and culinary experience. Join us for Mothers Day! terrain Cafe will be are serving an a la carte menu from 10am to 8pm. Guests are invited to BYOB. This buffet-style brunch has seating times at 9:30am, 12pm and 2:30pm. Guests are invited to BYOB. Sat, April 20th 11:00 am - 5:00 pm. Save the Date! Join us to celebrate the arrival of garden season at our annual Dig into Spring Festival. We'll leap into the springtime spirit with a fully-stocked nursery, garden workshops, live music, terrain café food tent and activities for the little ones. Clover Market will join the fun with a curated marketplace of local vendors and seasonal wares. Sun, April 21st 10:00am - 3:00pm, 5:00pm - 9:00pm. Celebrate the holiday with your family at terrain Garden Café for brunch or dinner. 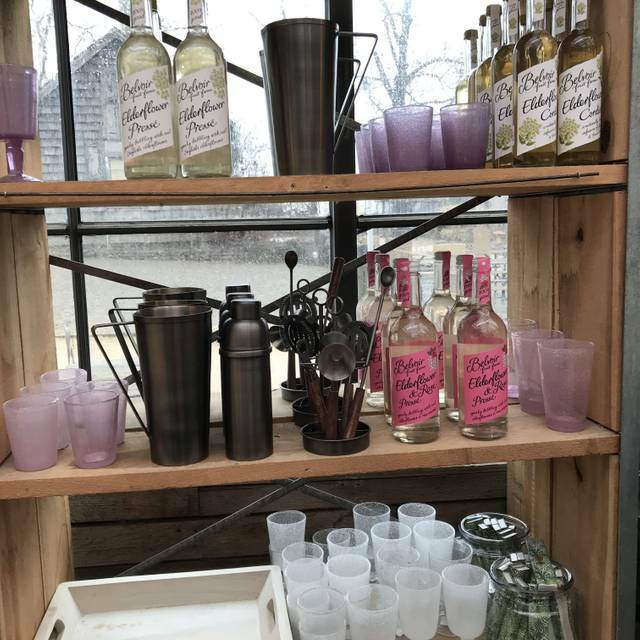 Stop by the host stand today or visit us at shopterrain.com to make your reservation. Guests are invited to BYOB. Loved the atmosphere & food was fabulous! Staff are always amazing. Food is excellent, burgers are the bomb! Grab a Black Sea salt chocolate chip cookie from the cafe too- you'll be glad you did! The ambiance was beautiful and calming. The food was great! We had a great meal and visit. Food and atmosphere were great. Service was slow, although we were not in a rush. Love the BYO......it made the waiting much better! The food was very good! I got the burger and the sweet potato appetizer, while my bff got the breakfast platter. We had two bread rolls (those things are amazing, so's the butter) and were too full for dessert but the cookie we got after was amazing!!! It was also absolutely gorgeous and smelled awesome between the food and the flowers. Our server was really really sweet and helpful, even though it was super busy she was attentive and we appreciated that. For some people it could be a little expensive, but to me it wasn't. (we got an appetizer, two mains, and two drinks. Including tip it was ~65$ with tip. Couple of heads up - get a reservation! We wouldn't have gotten in without one, and the first time we tried to go in there wasn't any space so we wised up this time. Parking can be a little hard, so get there early so you have time. We got lucky with a parking spot but it could've taken a while. It's also very noisy, even if absolutely beautiful, so if you're looking for a totally romantic meal where you feel totally alone with your partner, maybe rethink here! I don't think you can go wrong with the food, though. I think everything would be delicious. If you're looking for a really good meal at a good price with a cool setting, this is definitely a place to go! The noise level was high (night club high). Could not enjoy dinner and conversation based on the level of noise. What a great dining experience! Not our first, and definitely will not be our last time at Terrain. Our server, Elizabeth, couldn't have been friendlier or more welcoming. We indicated we weren't in a great hurry, and she paced out our dishes with plenty of time to enjoy the food and chat in between. Excellent cheese and meat board to start, with an interesting variety of things to munch on, then the beet salad and mushroom soup. The beet salad had wonderful ingredients, not too much dressing, visually attractive. We shared the salmon entree, also beautifully prepared. Kudos to all the attentive servers who seem to help each other out, refilling water glasses, delivering plates and bread. When we declined dessert, Elizabeth sent us on our way with a homemade carrot cake muffin "for later!" 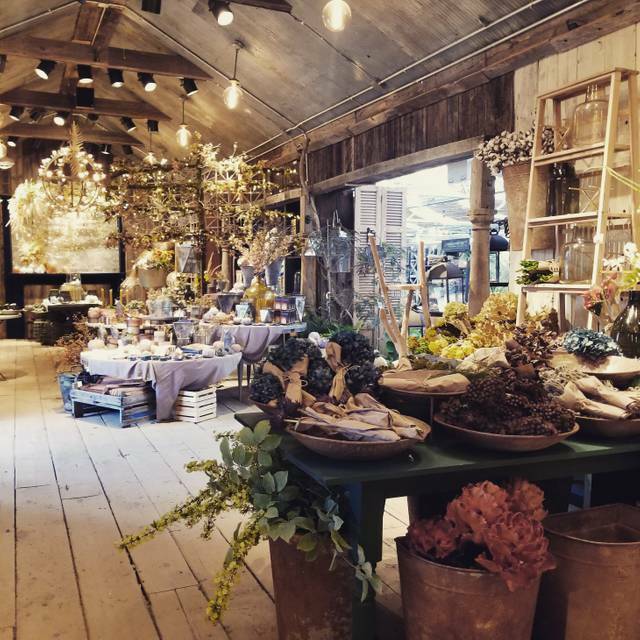 Terrain is definitely an experience, with the rustic greenhouse setting and all of the plants and garden goods to peruse. We love it there and will be back soon. Great service and as always, delicious meal. Excellent, friendly service. Delicious food. Charming atmosphere. Overall a great experience! We'll be back again. It was a beautiful warm day, we sat outside on the patio under an umbrella and ate a delicious lunch. We had plenty of time to chat as no one rushed us along. We shared our picnic table with a lovely young couple who brought along their very well behaved Australian shepherd. It could not have been a better day. Thank you. We LOVE this place! It is a mini vacation for the body, soul, and stomach! The decor in the cafe is a mix of past history, plants and modern flare. It gives off a peaceful and tranquil vibe that makes you want to stay a while. The coffee and spritzer drinks are amazing, as well as the food is clean and fresh. The bread is baked in a “special” container (you have to go there just to experience that!) and the seasoned butter is the perfect compliment. You pay a little more, but it’s well worth it for the quality of food you are getting and being able to explore on a repurposed piece of property! 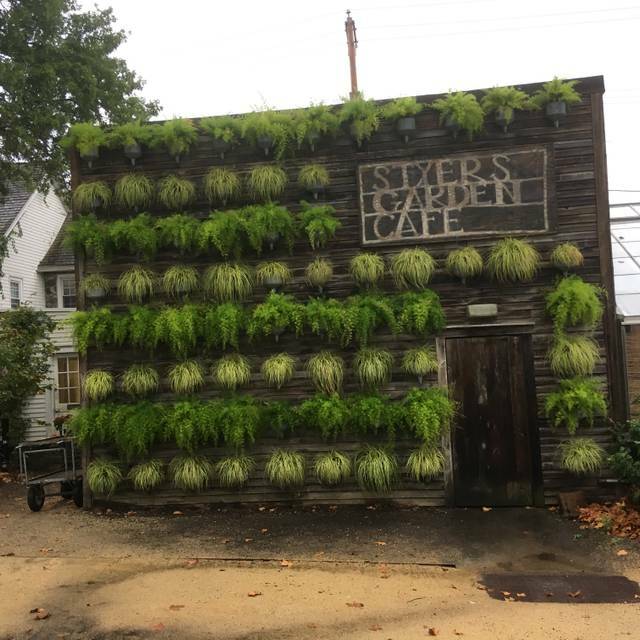 Visit the retail store to see the “living wall” and so many unique garden/gift items and plants and flowers. You won’t be disappointed and you’ll leave relaxed and ready to transform your garden and home! Thank you Terrain! The food was outstanding, and the atmosphere very calming and peaceful! Definitely a 10/10 experience, and I can’t wait to go back! Went here with four friends for an "April Girls" birthday lunch and had a wonderful time. Terrific menu, service, and ambiance! I had the best omelette I’ve ever had in my life recently at Terrain. I’ve always loved it there, but the food was better than usual this time. Terrain was a lovely spot for a special birthday brunch! The store and restaurant are one-of-a-kind! I’m glad I tried it once. May or may not go back. Limited menu, byob. Beautiful area but a bit expensive. 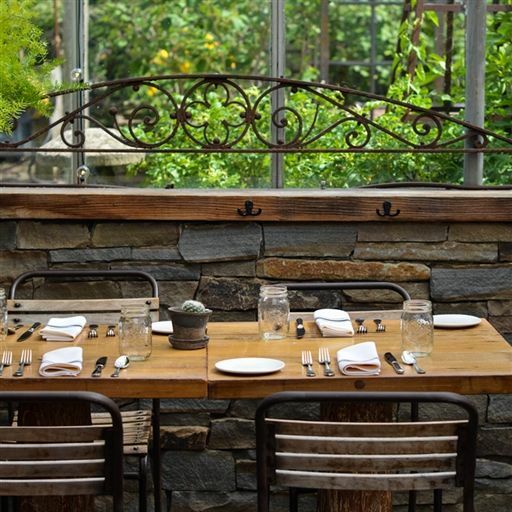 Love dining at Terrain Cafe in Glen Mills. Love the atmosphere & food and gift shop! Beautiful venue, delicious food - would recommend highly. Everything we had was delicious and fresh. The mix and match spritzers were my favorite, so many wonderful combinations! Looking forward to dining here again soon. The ambiance cannot be matched and the food is phenomenal! Beautiful place. Friendly staff, delicious and flavorful mouth watering food. We went for a spontaneous lunch date since it was so nice out. It takes us about 40 minutes from the city to get there, but it’s always worth the trip. Loved this place! The atmosphere is so unique and the food was delicious! It was busy and a little loud but I did enjoy it. Always an experience to eat in this place. This is my second time. Excellent food and service. Somewhat pricey. Noise level is only complaint. The Vetri management produces excellent, solid, meals and deserts with a bit of modest and thoughtful innovation. More importantly, the quality is consistent- the mark of a professional restaurantier. A sizeable number of servers actually know how to wait table, and understand that attending a table not yours matters. The only negative—which the Vetri management inherited — is the god-awful noise level. It is like being in a steel plant when they are pouring. Good food and service only partly makes up for being unable to converse with your dinner partner! And, this survey rates a high noise level as “energetic “ — terminally stupid!! The food is fabulous.Unfortunately when I made the res on Open Table it booked me at the Glen Mills location. 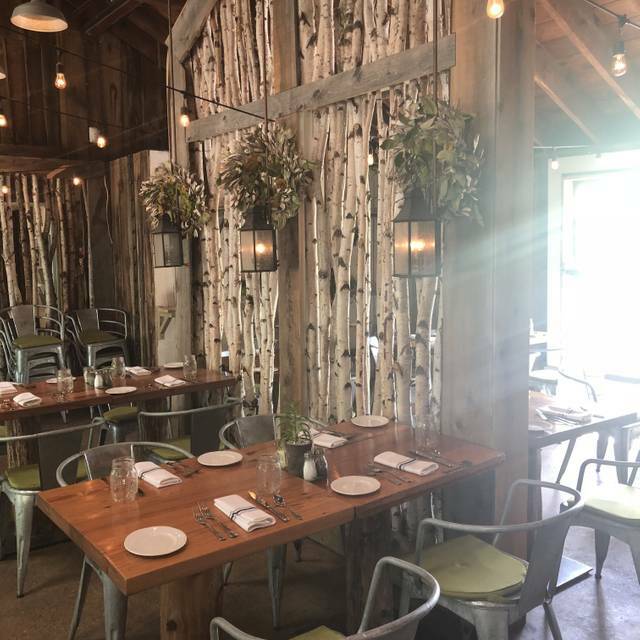 Devon accommodated us ,but I would not cancel a reservation under normal circumstances and hope it was alright.Food and ambiance are wonderful at Terrain. Everything was perfect! Great way to celebrate my birthday!! Thank you! This is a wonderful place for bringing out of town guests. You can do little browsing in the store, and then eat a top-notch meal that's as beautifully presented as are the surroundings. You'll wow your guests like ours were. Ambiance was completely unexpected. 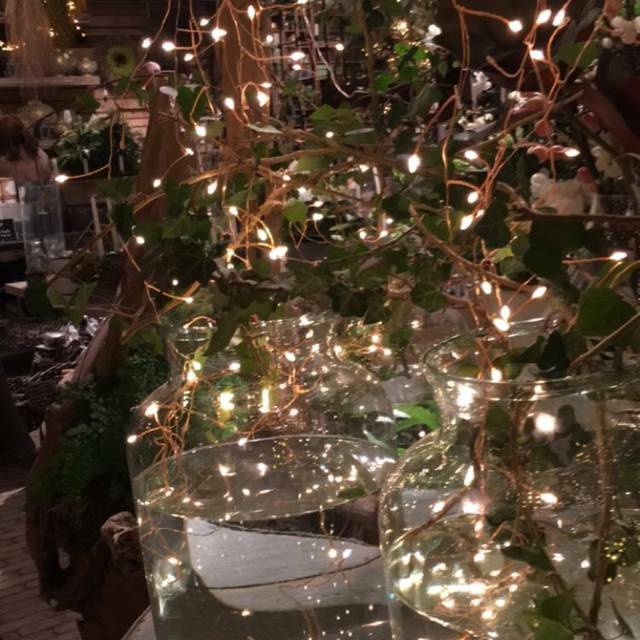 I felt like we were in a cross between a forest cottage and a boutique. Creative touches throughout. Our server was immensely helpful and attentive as we had a few questions regarding the menu. Service was prompt. The presentation was beautiful and the food was delicious. We can't wait to return. Great service, great menu selections, cute environment. I received a gift card to terrain. I went to OpenTable to look at the menu and read about it. Nowhere did I see that it was a BYOB. Needless to say we went and didn’t find out until we got there that it was a BYOB. Food was OK but definitely overpriced for what you get. The service and food was incredible. Delicious, fresh, healthy choices. Great salads that you can add a protein to. Wonderful charcuterie plate was enough for four and had lovely meats and cheeses. Gorgeous setting and decor. Only complaint is that it’s VERY noisy. Recommend sitting NOT in the greenhouse room but rather in the garden or regular dining room.